We love any reason for celebrating and especially celebrating with food! This year, in addition to the classic holidays we all usually enjoy, we’re going to add a few more to our calendar. Did you know that there is a whole host of holidays that celebrate your favorite (and some weird) foods each year? We’re sharing one official food holiday for each month of the year, so you can celebrate with us. For each month, we’ll let you know which STF dish is perfect for that month’s food holiday! We get a ton of requests for gluten free foods, so we have dozens of options for our clients who need to stay away from gluten. This dish is one of our most popular gluten free menu items. People compliment the flavors and love the way it’s served in mini-take out boxes. 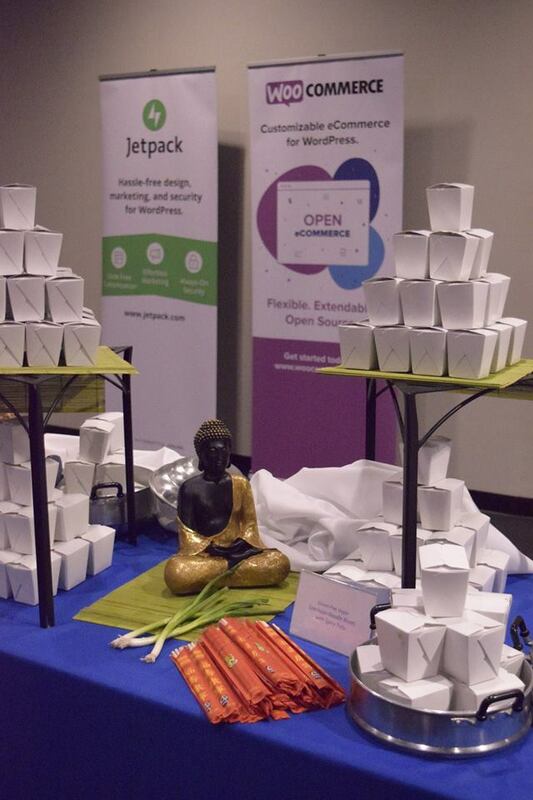 Our Szechuan Noodle Boxes are perfect as an appetizers or part of a station menu. February is the perfect month to celebrate tortilla chips; dipping your chips in some salsa is a great way to stay warm during the winter! 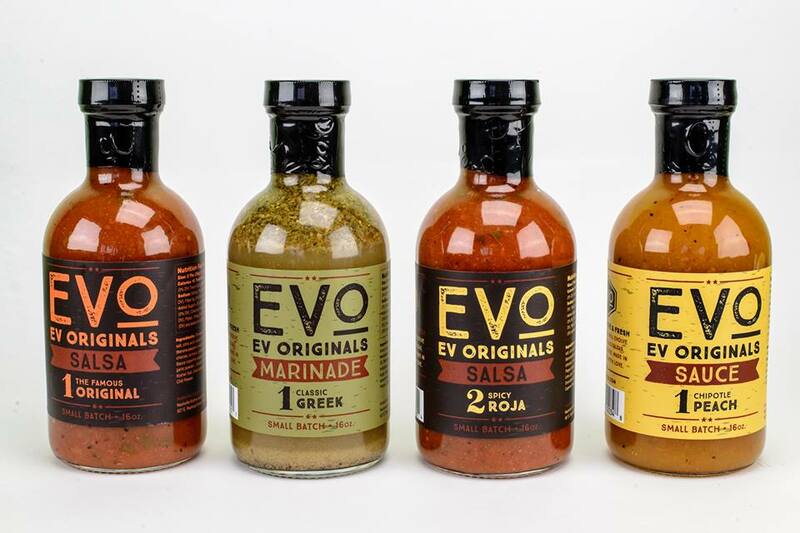 If you’re looking for flavorful and spicy salsa, we have the BEST salsa around! 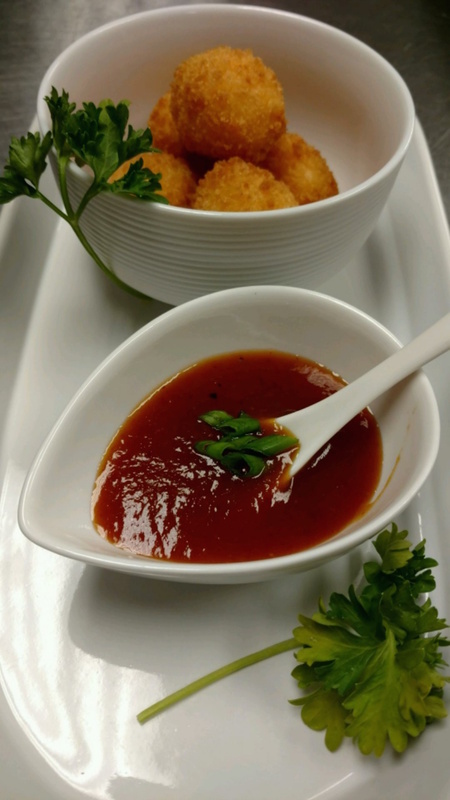 Celebrate this food holiday with Chef Eleni’s Original and Spicy Roja Salsas! Everyone loves a meatball! Instead of the classic Italian meatball, this March 9th try something a little more exciting. 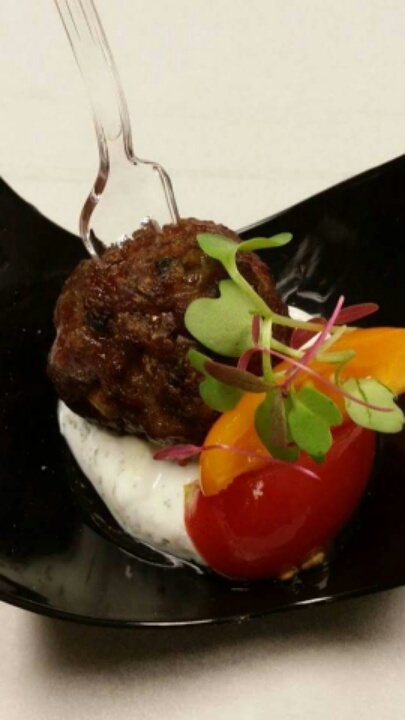 Add some of our Keftedes to your menu. Keftedes are the Greek version of a meatball, and it’s an amazing twist on the meatball you already love. Seriously, you and your guests will be begging for more! For those of you with a sweet tooth, we recommend adding a little savory to your caramel popcorn this holiday. You haven’t lived until you’ve had STF’s Bourbon Bacon Popcorn. This dessert works great as an afternoon treat for day long corporate meetings or as a late night snack at a wedding or party. After all, everything is better with bacon…and bourbon. Here in Tennessee, we take our BBQ seriously. Our tried and true, slow cooked Bourbon BBQ Pork Tenderloin will have you and your guests reaching for seconds. Not only is the meat tender, but our homemade, secret BBQ sauce ensures this BBQ is one you’ll remember for a long time. 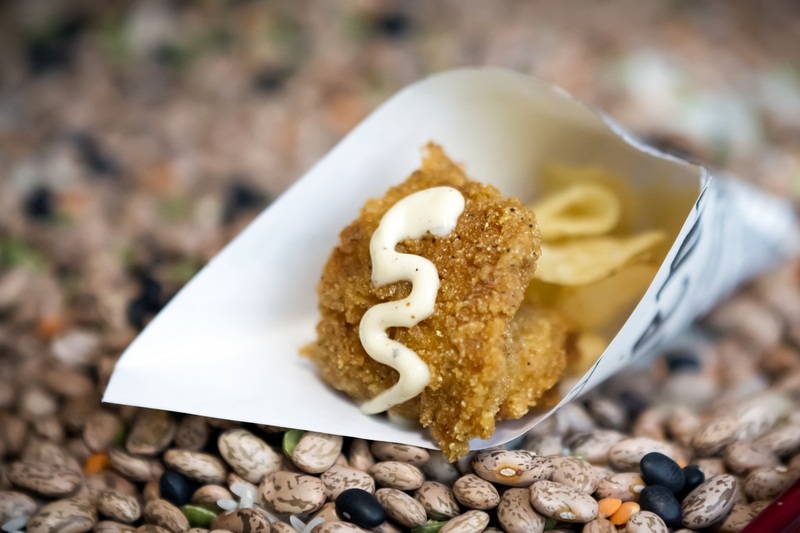 There are so many great ways to eat catfish, but we’ve got it perfected! 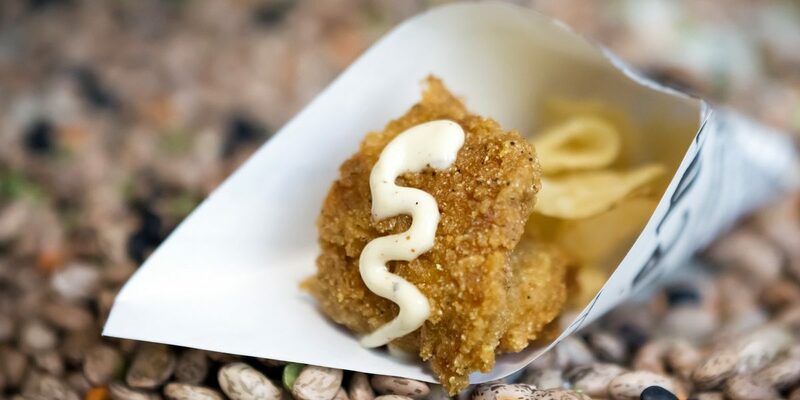 For National Catfish Day this June, you’ve got to add our Catfish & Chip appetizer to your catering order. This is a great small plate appetizer you and your guests will enjoy! It’s packed with flavor but still light enough to keep you hungry for dinner. *Flash-fried catfish fingers drizzled with a key lime aioli. 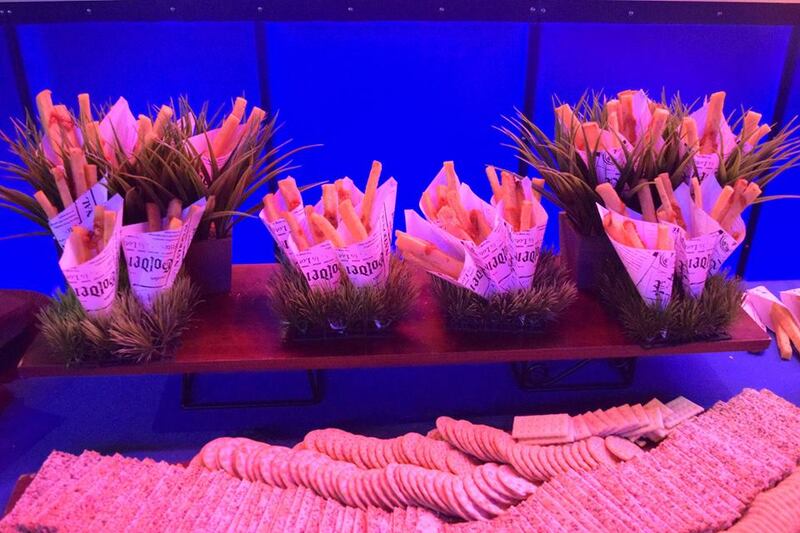 Served in paper cones with salt and vinegar kettle chips. Thank goodness we live in a world where french fries have their own day! Don’t throw this day away by getting your celebratory fries from a fast food restaurant- add our Italian Herb Polenta Fries to your menu. Once you top them with our Sundried Tomato Chimichurri your life will be forever changed! Keep it light and fruity for Watermelon Day! Our Watermelon Bites turn your favorite fruit into something beautiful and elegant. Topped with whipped feta cheese, it’s the perfect salty and sweet combo. You’ll never think about watermelon the same way again. Just in time for Oktoberfest, you can enjoy your beer in true German fashion! Our Beer Cheese and Pretzels is perfect at a wedding, beer garden, or corporate event snack. This is the perfect way to enjoy beer without cracking open a bottle. Hooray for Dessert Day! We make a variety of different desserts, but the most popular are our Spiked Cupcakes. 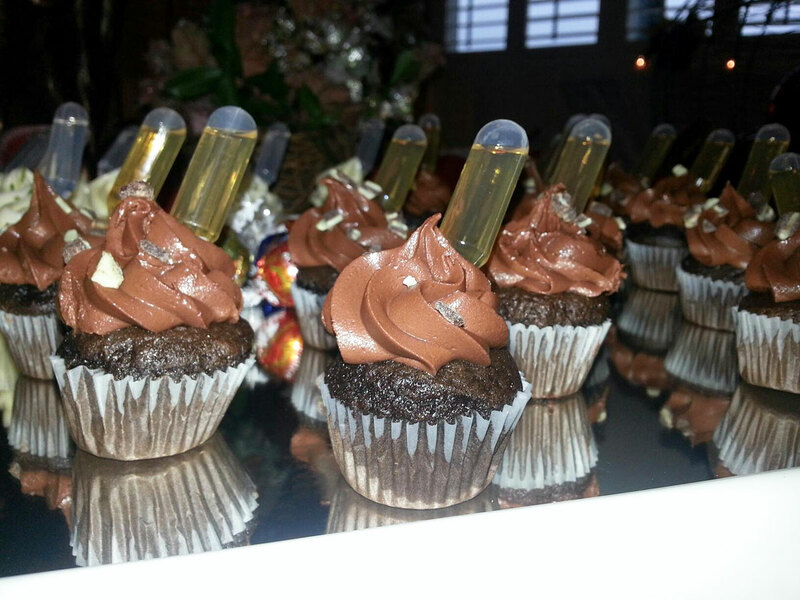 These are delicious cupcakes with a small pipette of alcohol stuck inside them. You can take the shot and then down your cupcake or macerate your cupcake with small squirts from your boozy pipette. There’s not wrong way to eat a Spiked Cupcake! This food holiday isn’t necessarily for a particular food, this one is to celebrate eating delicious dishes with a friend. We recommend splitting some of our Pimento Cheese Fritters with your bestie! And finally, let’s cap off our year of food holidays with some serious comfort food that’s perfect for your more traditional holidays! Our Mac N Cheese is the greatest Mac N Cheese in all the world; better than opening any gift under the tree! Make this year the best food year yet! We’ll help you celebrate all of these food holidays, traditional celebrations, and lifetime events this year with amazing menus for each one. Send us an email to plan your catering menu today! Woww Great!! These all dishes looks yummy. I think we all can enjoy with these dishes on any party and event to celebrate our day.